On the way back to the Dutch Host Inn, Judy and I decided to pursue one more adventure before getting ready to go home on Friday. We pulled up to the Rolling Ridge Animal Park. 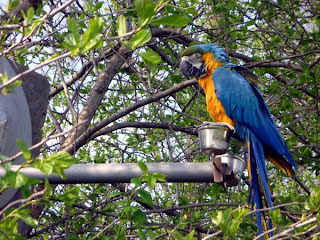 The ranch features over 500 animals & birds & over 100 species from around the world. 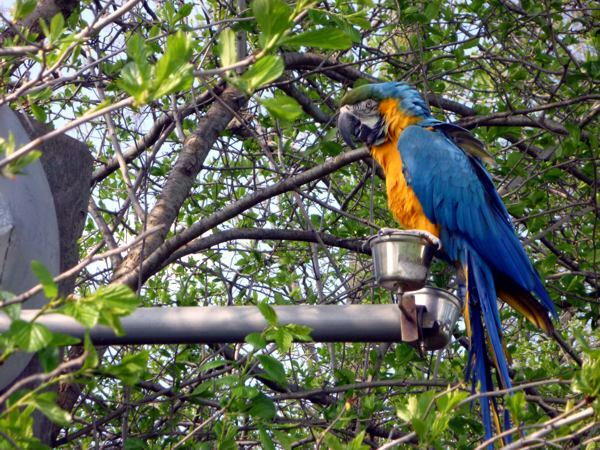 Safari through natural woods and gently sloping pasture land. 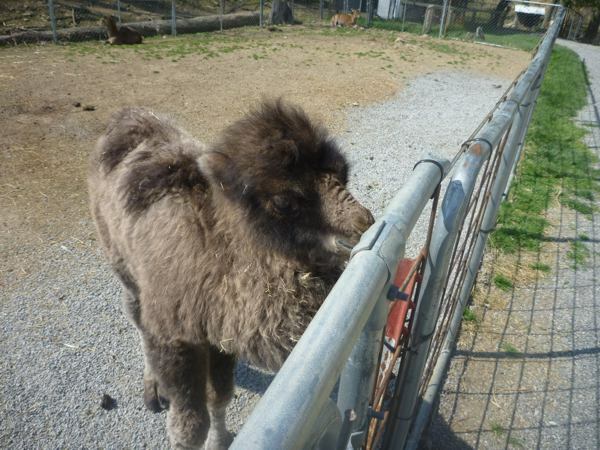 We checked out the petting zoo which had this really cute baby camel. 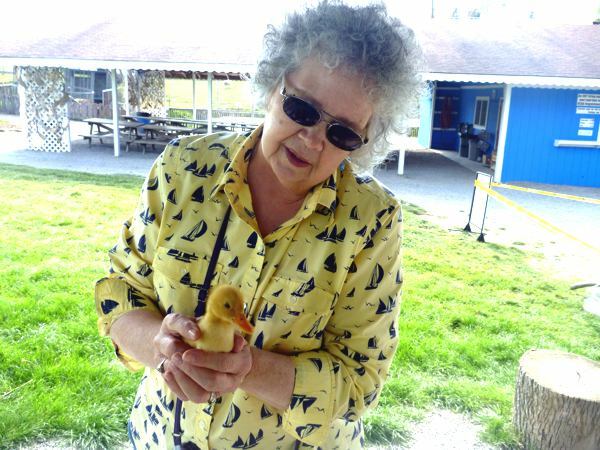 Miss Judy was ready to see the critters. 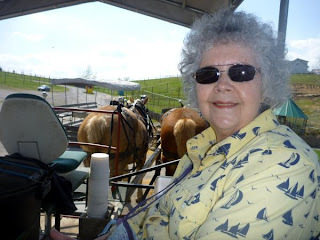 We climbed aboard a horse drawn wagon. Our guide was Ruben who along with his brother owns the ranch. 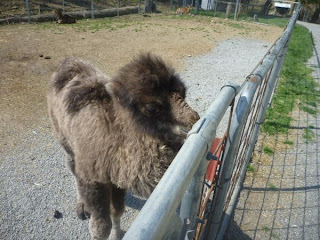 Ruben gave us buckets of alfalfa pellets to feed the critters. 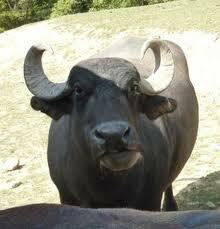 Do you know how long a water buffaloes tongue is? Impressive! We found the African Ankole-Watusi to be most interesting. 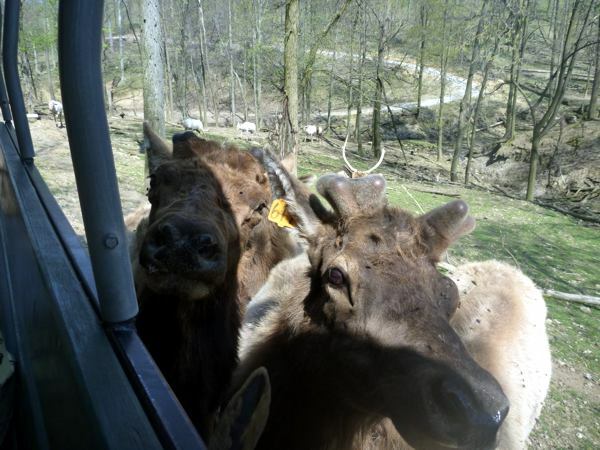 Its large, distinctive horns, that can reach up to 8 feet (2.4 m) from tip to tip, are used for defense. Ankole-Watusis weigh from 900 to 1,600 pounds (410 to 730 kg). 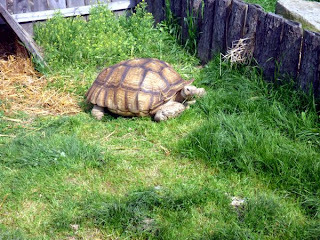 Living in the savannas and open grasslands, their diet consists of grass and leaves. Ankole-Watusi have played a pivotal role in the lives of various African tribes – Tutsi, Ankole, Bahima, Bashi, Bakiga, and the Kivu - although the Tutsi are most often associated with the breed. The cattle provided food, currency, and tribal status. 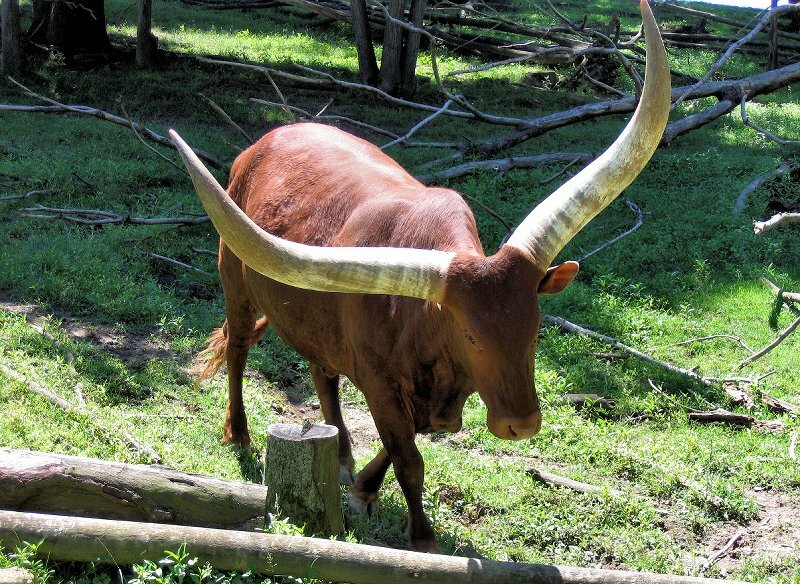 In Rwanda, where the Tutsi ruled, Watusi were known as Insanga, "the ones which were found" and Inyambo, "the cows with long, long horns". Those with the largest and longest horns belonged to the king and were considered sacred, with some individuals having horns that measure 12 feet (3.7 m) from tip to tip. The breed is often referred to as the "Cattle of Kings". 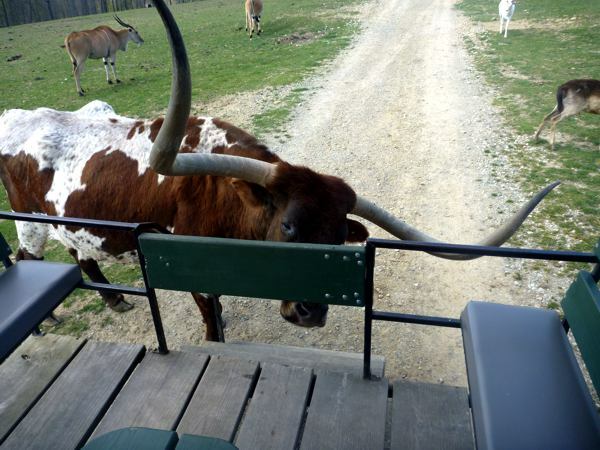 The Texas Longhorns were mingling among the Watsui. These cattle are known for their characteristic horns, which can extend to 7 feet (2.1 m) tip to tip for steers and exceptional cows, and 36 to 80 inches (0.91 to 2.0 m) tip to tip for bulls. Horns can have a slight upward turn at their tips or even triple twist. 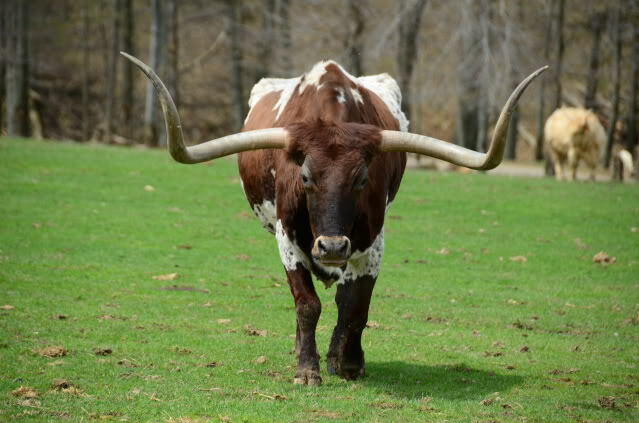 Texas Longhorns are known for their diverse coloring. Many flightless birds are on the ranch. 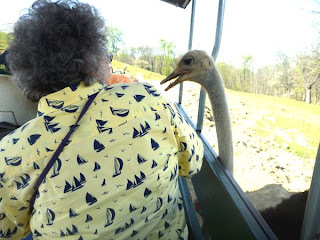 The emus, rheas, and this ostrich knew Judy had food (as did all the other animals). The American elk along with the Siberian elks ran to meet our wagon. 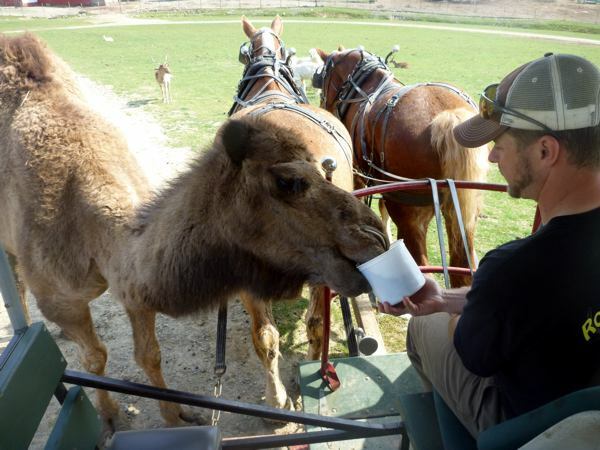 Here is Ruben feeding a wonderful Dromedary Camel. 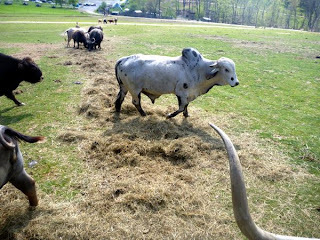 The Brahman or Brahma is a breed of Zebu cattle (Bos primigenius indicus), later exported from India to the rest of the world. 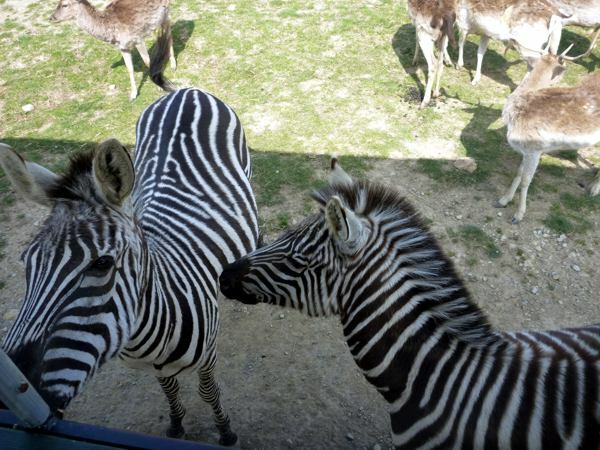 The zebras were amazingly tame. Here is Judy with her Mammoth Mule. 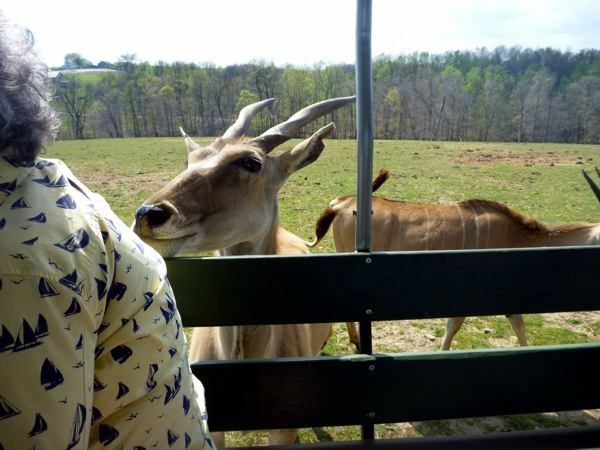 This critter found Judy to be most tasty. It confused her arm with the feed bucket and bit her on the forearm. OUCH! Here is a bit of trivia about American Mammoth Mule (Jackstock). The breed is said to have been created by George Washington, using large European donkey breeds, including the rare Poitou donkey from France. 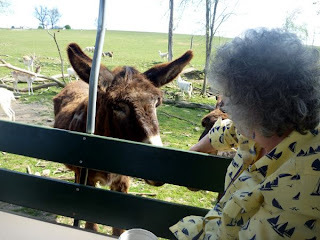 He wanted a large donkey to breed with draft mares to create a draft mule strong enough to plow the tough soils of Virginia. I love tortoises and the Rolling Ridge Ranch had two wonderful examples of a Sulcata Tortoise (African Spurred Tortoise) which can get up to 80-100 pounds. We had a great time at the ranch. It was a wonderful climax to our Amish adventure. We arrived back in Glenville around 7 P.M. on Friday. Judy's table was ceremonially placed by her side of the couch. All was well with the world!